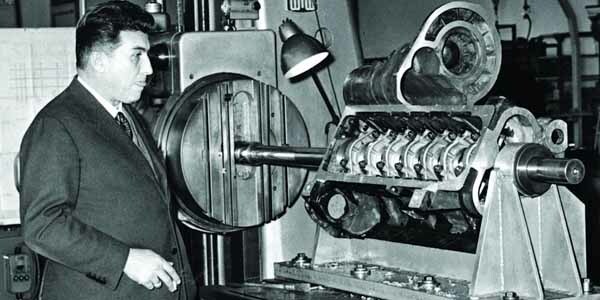 Ferruccio Lamborghini first earned his reputation as a master mechanic while stationed on the island of Rhodes as a vehicle maintnance supervisor with the Italian Air Force during World War II. Being on an island made it difficult for him to secure spare parts, so he often built them himself out of scraps. Not unlike Tony Stark building a nuclear reactor in a cave, but real. 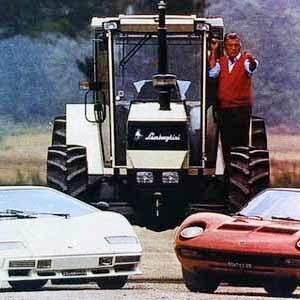 Born in a grape farming family, Lamborghini always had a fondness for farming machinery, so when he came back from war, he eventually started a tractor manufacturing company, which proved to be a success overnight.